The Flying Scotsman, who has won has been involved in every Premier League campaign since his first in 2011 and has reached Finals Night in each of the last five seasons – while last year he was involved in one of ‘the’ great legs. The 2011 and 2015 champion has been undergoing treatment on his back since his heavy defeat to Michael van Gerwen in the World Championship semi-finals at the end of December and also pulled out of the season-opening Masters event at the weekend, which MVG won for the fifth year in a row. 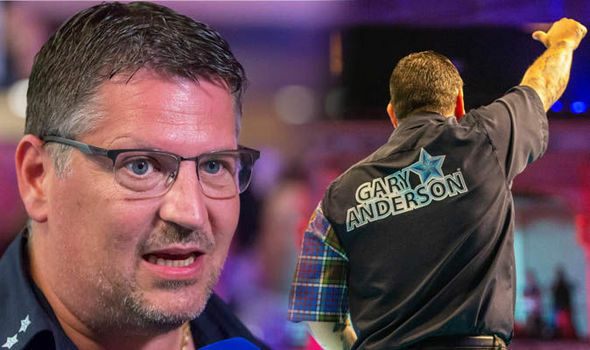 His superb 2018, in which he became the third player behind Phil Taylor and van Gerwen to complete the Triple Crown of Darts when landing the World Matchplay for the first time, took his tally to 46 career titles and 46 televised crowns. It was therefore no surprise to see him named Fans’ Player of the Season. 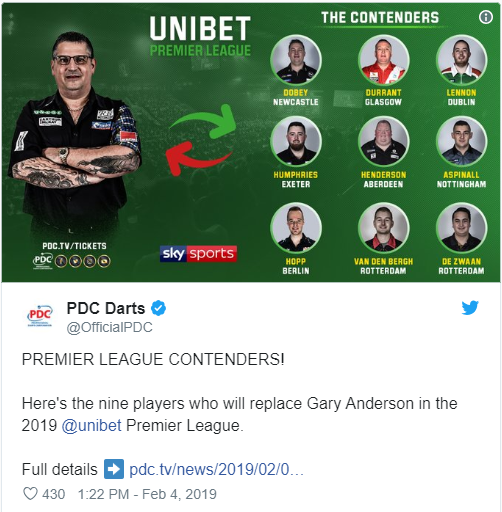 In a revolutionary move by the PDC, the nine players called up to take part in a weekly guest role are Chris Dobey, Glen Durrant, Steve Lennon, Luke Humphries, John Henderson, Nathan Aspinall, Max Hopp, Dimitri van den Bergh and Jeffrey de Zwaan. Points won by these nine will not count towards the league table but there will be a financial incentive for them and their opponents will retain any points gained from the matches. Check out the latest PDC Premier League 2019 Odds at Yobetit.